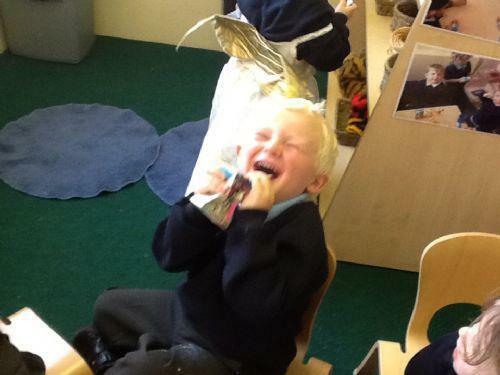 Charlie loves sharing a joke with his new friends at the snack table! 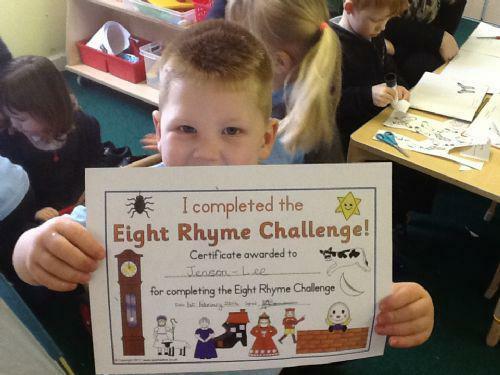 Well done Jenson you completed the nursery rhyme challenge. Clever boy! We made homes for a hibernating hedgehog. We did a great job and enjoyed sharing our creations with our friends. We passed the nursery rhyme challenge and did a great job sharing our favourite rhymes with our friends. Excellent work Lola, Riley and Daisy! Hurray we passed the nursery rhyme challenge and could share our favourite rhymes with our friends. Well done Mikey and Rebel! We enjoyed showing our baby photos during show and tell. We loved pressing the sound buttons on the interactive whiteboard! We then talked about what we thought could be making the sounds. Well done everybody!